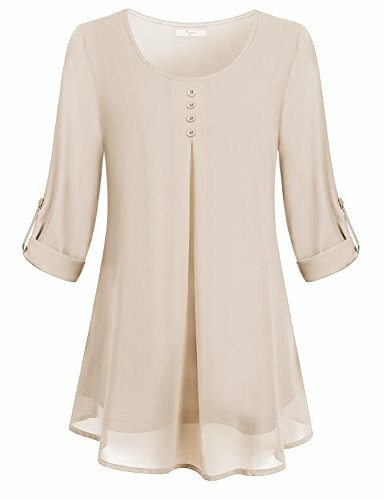 Features:3/4 roll-up sleeve,round neck,button embellished,pleated front,flare style,loose fit tunic,fashion blouse,double layers chiffon. 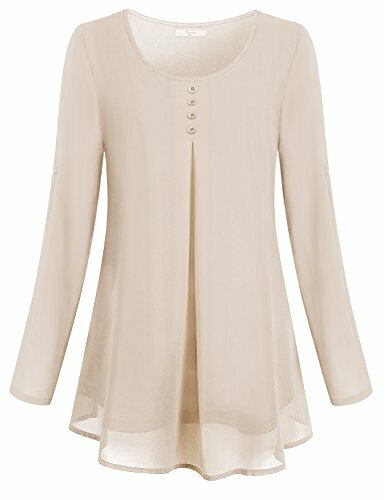 Layered tops for women gives you gentle touching,beautiful sheer and flowy drapes easily deliver a casual dressy look. 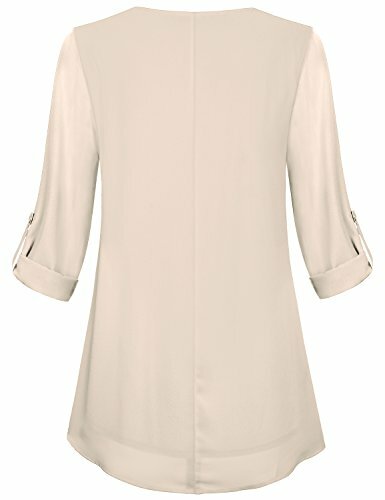 Great with jeans,leggings and capris. 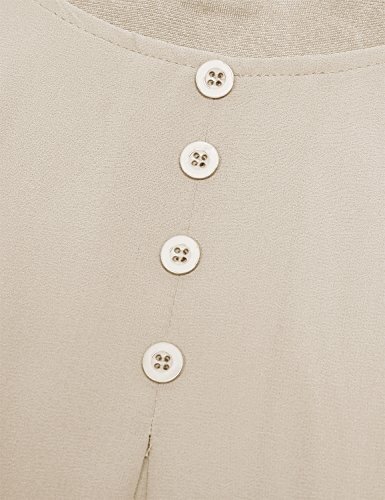 3/4 long sleeve shirt with button,can roll it up or roll it down, creat a different look and keeps you feel comfortable in changeable weather. 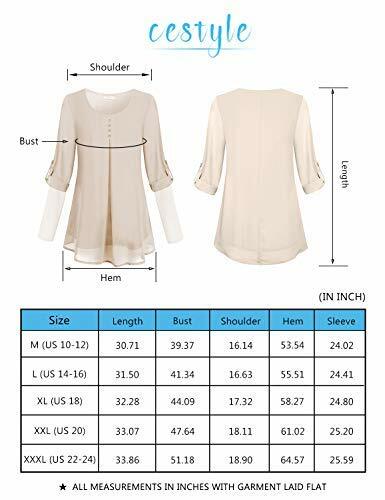 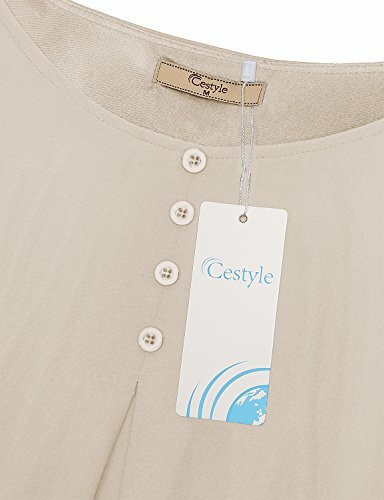 ATTENTION: Please refer to size chart at Product Description before ordering.Amazon's size is Not Applicable for this chiffon blouse.